Super Strength! Use it for your heaviest packages. 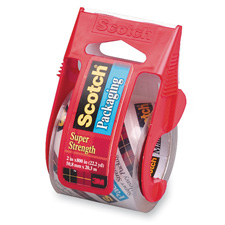 Moisture-resistant, high performance tape with a convenient dispenser. Resists spliting and peels off the roll with ease.